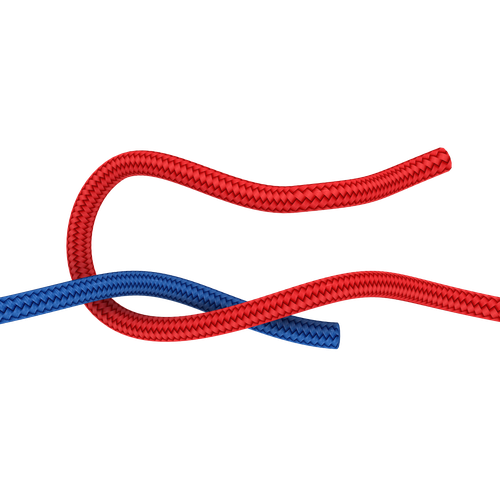 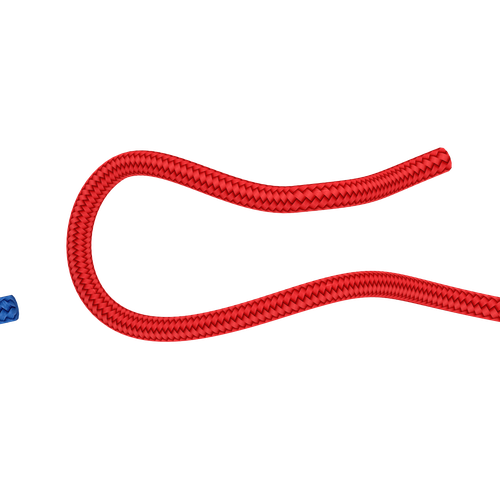 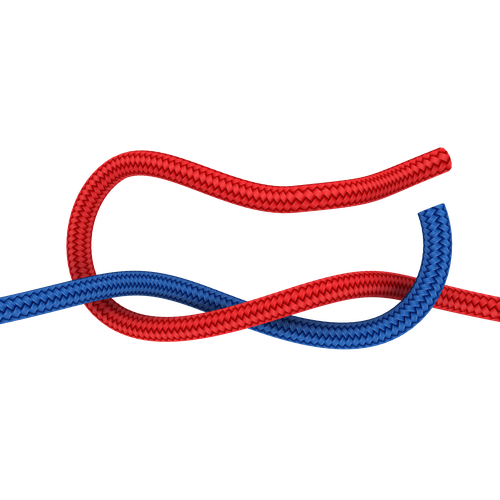 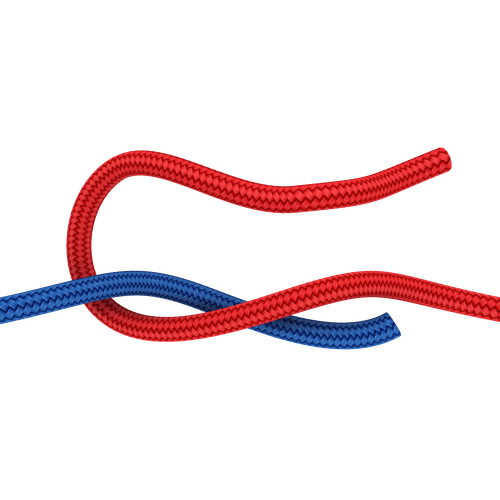 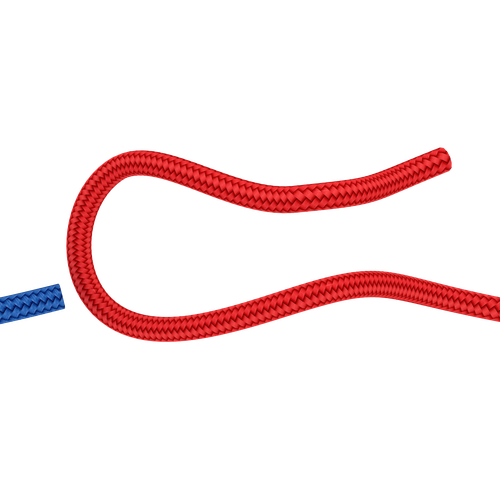 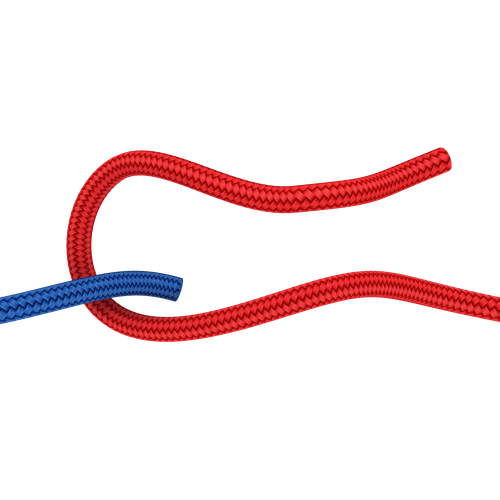 Step 1: Fold the rope to form a loop with the running end upside. Step 2: Thread the 2nd rope through the loop under the 1st standing part. 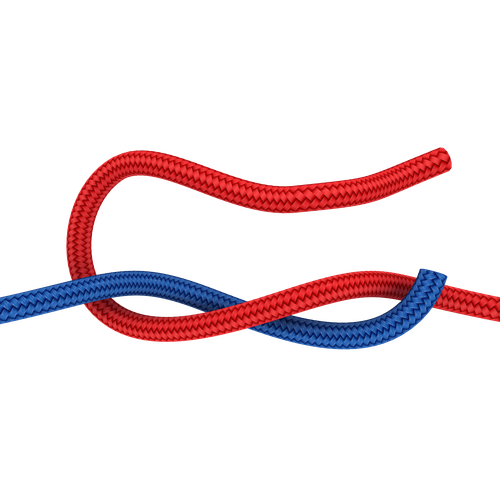 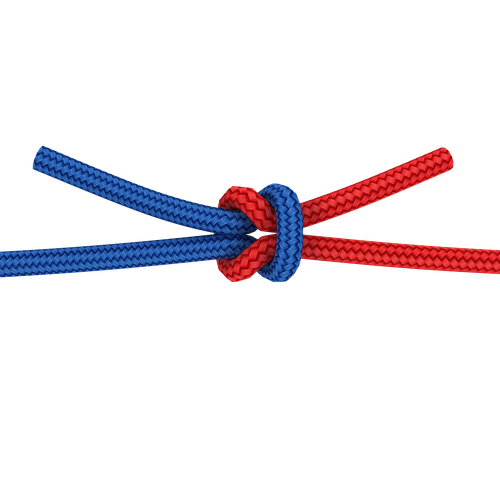 Step 3: Pass the 2nd running end over both ends of the 1st rope. 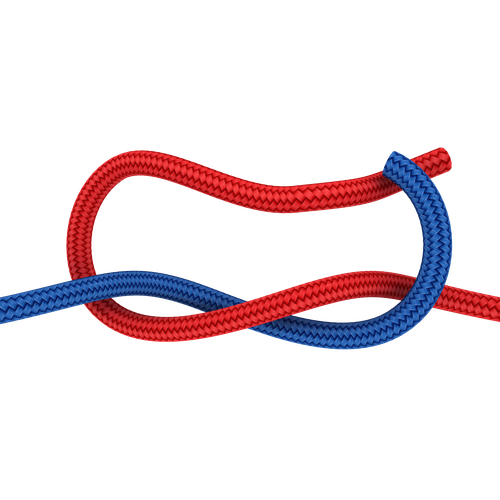 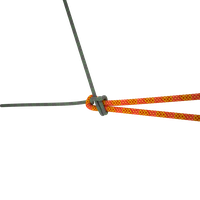 Step 4: Pass the 2nd running end under the 1st and through the loop. 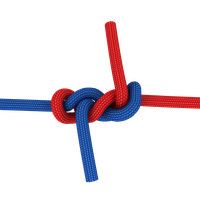 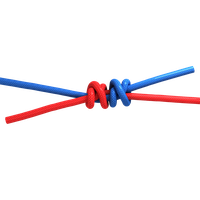 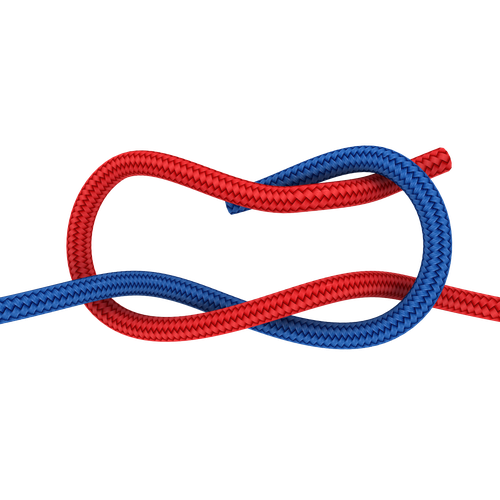 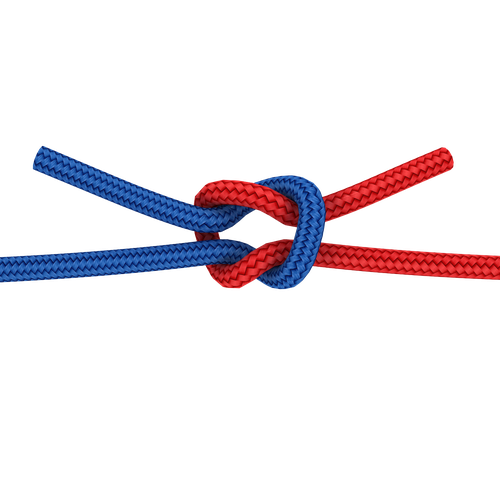 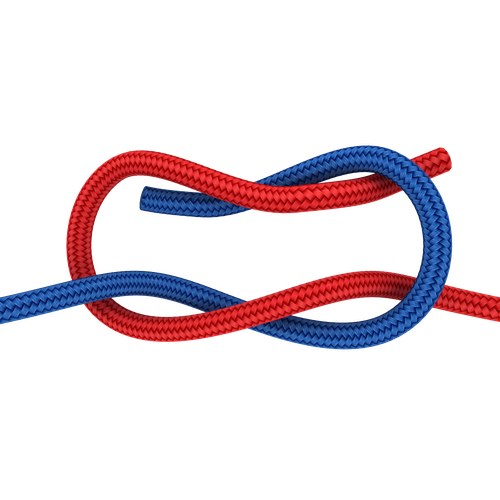 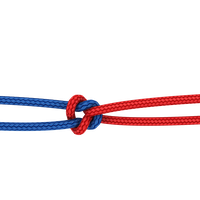 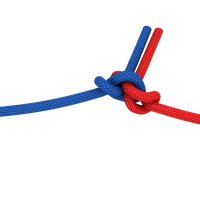 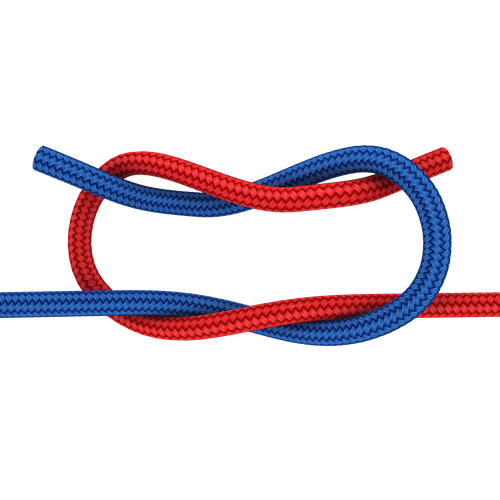 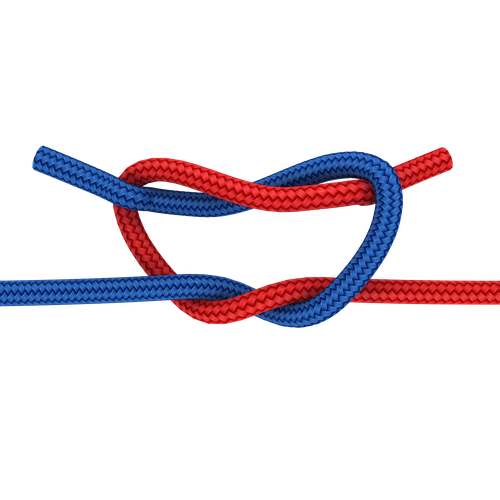 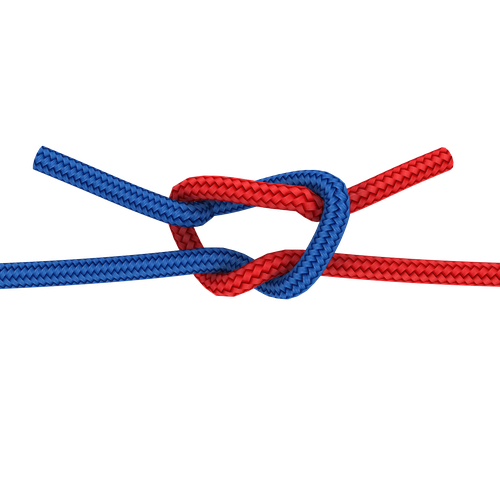 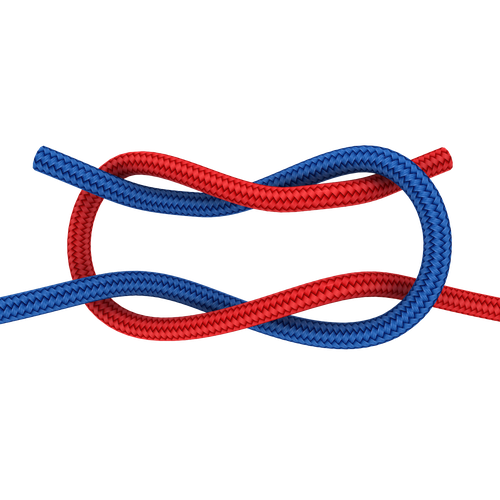 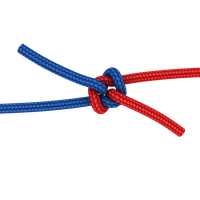 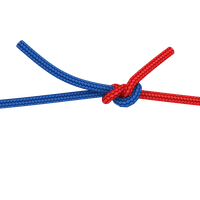 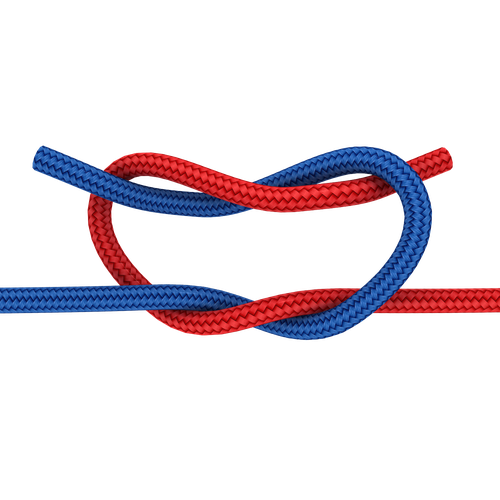 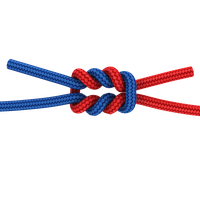 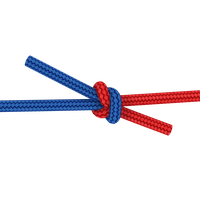 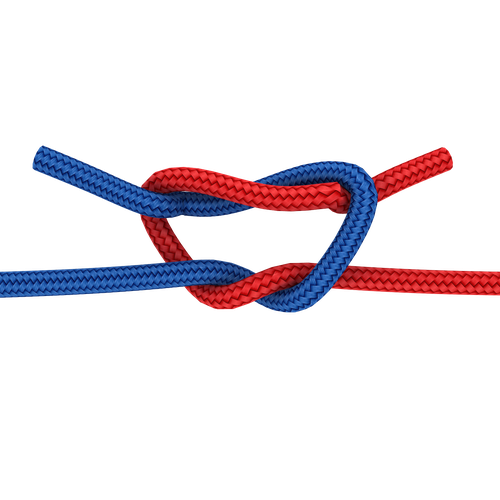 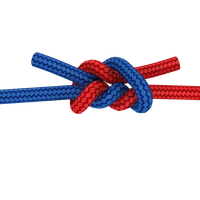 Step 6: The Reef knot is complete.